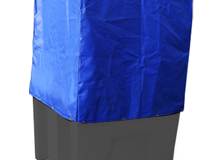 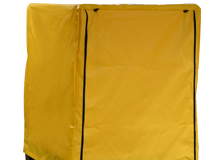 If you store your IBC bund outside, you may want to consider one of our IBC bund covers. 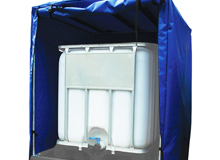 We have two for you to choose from; an economy version which simply slides over the IBC container and a more heavy duty cover which comes with its own galzanised steel frame. 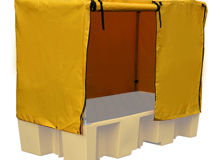 This cover has a purpose built zip access door built in.